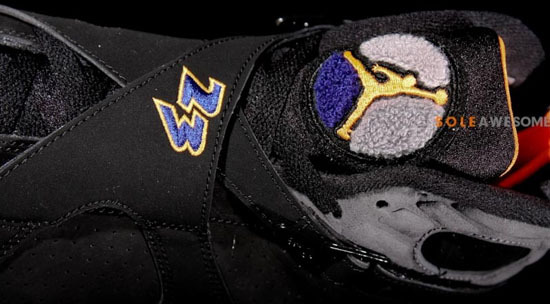 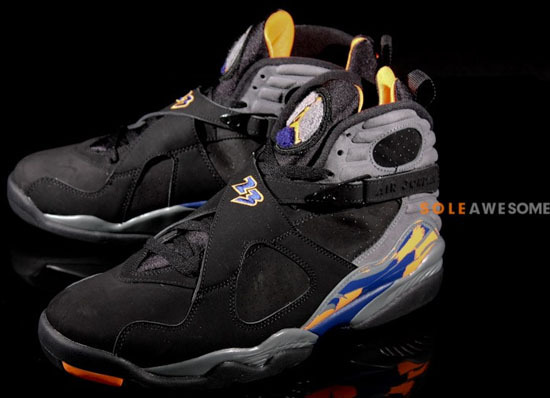 New images of the second Air Jordan 8 Retro set to release in 2013. 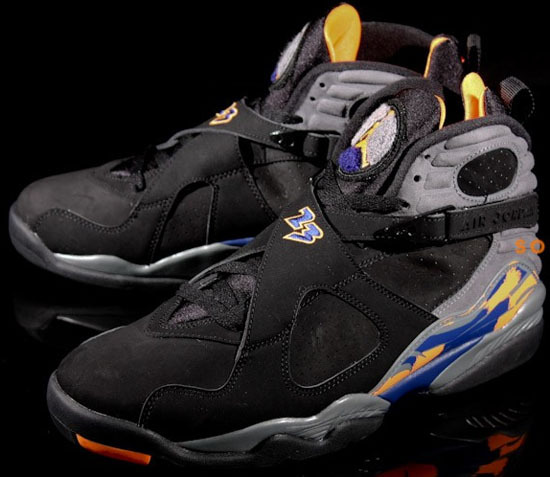 Known as the "Phoenix Suns" edition, this Air Jordan 8 Retro comes in an all new black, bright citrus, cool grey and deep royal blue colorway. 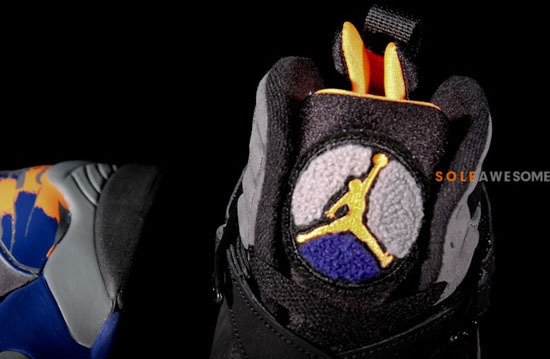 Featuring a black based nubuck upper with bright citrus, cool grey and deep royal blue accents. 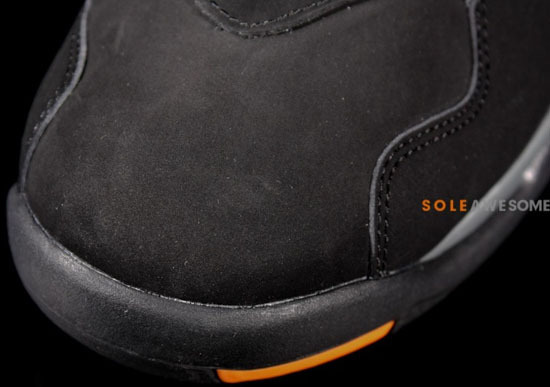 A general release, they will be available at select Jordan Brand accounts worldwide on Saturday, May 18th, 2013. 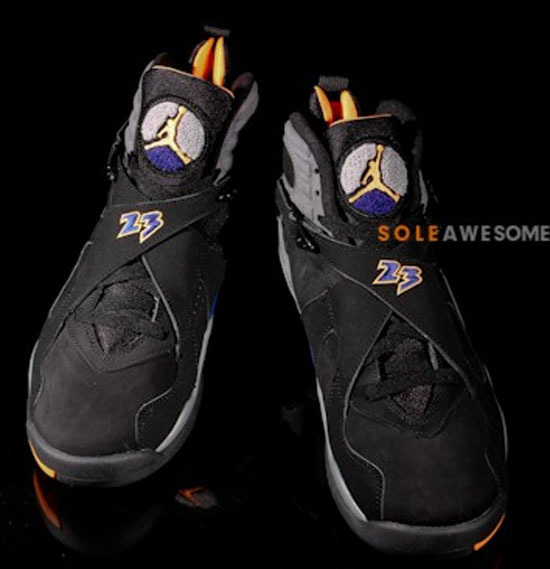 Retail is set at $160 for men's and, they will also be available in full family sizing all the way down to infant. 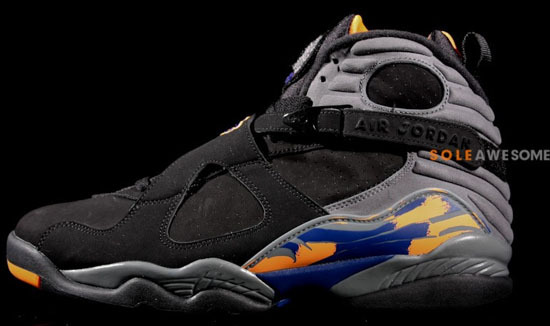 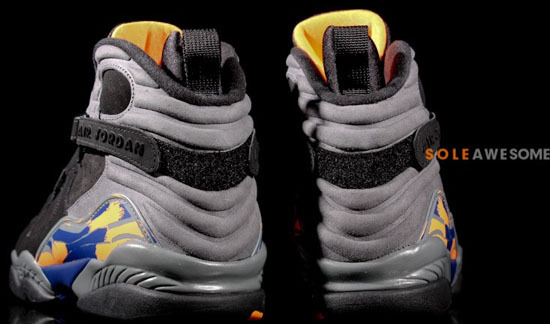 Enjoy the new images below of the "Phoenix Suns" Air Jordan 8 Retro in black, bright citrus, cool grey and deep royal blue. 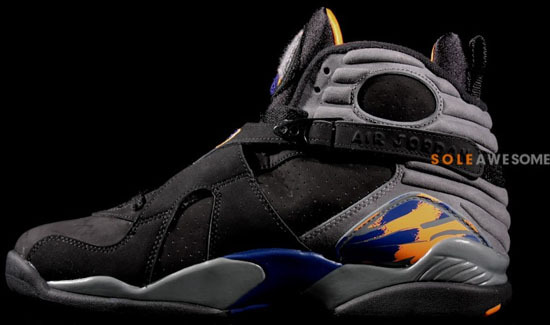 Those of you who like these and plan to pick them up when they release should check in with their local spots to see if they will be receiving them. 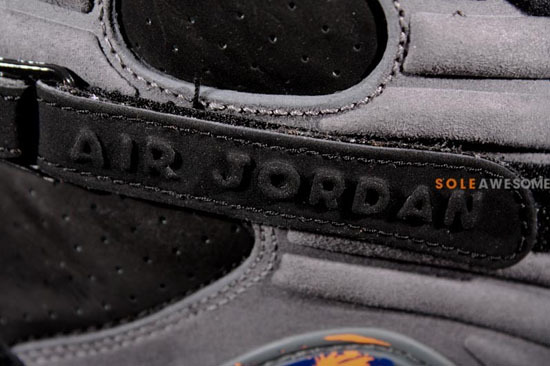 If you're looking for a pair now, you can click here to buy them on eBay.